Morning Panel: A Dynamic Sector: Accelerating Markets. Scaling Solutions. 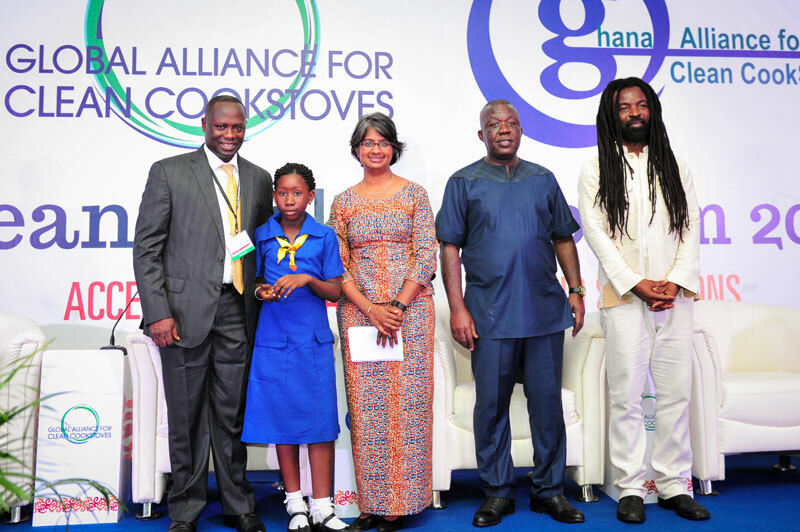 Ghanaian journalist and television host Anita Erskine moderated a lively discussion of experts working in the cookstoves and fuels sector. Huge crowd attended the opening plenary. Presenters discussed the preliminary results of three ongoing studies, which focus on child health outcomes in Nepal, Nigeria, and Ghana. The studies, which are due out next year, are showing promising early results: populations who have never used clean fuels, including ethanol and LPG, are adopting the fuels intensively and near exclusively where possible. As a result, major reductions in exposure are being observed, and preliminary analyses suggest child health benefits including improved infant lung function and reduced pneumonia during pregnancy. Be on the lookout for more on this in 2016. New developments with international standards address the dual goals of international collaboration and national adaptability. An updated tier system was proposed to reflect the lessons learned from the 2012 International Workshop Agreement. 40 countries are working together toward an agreement on setting ISO-approved international standards. It has taken significant effort to bring such a wide array of standards and testing perspectives together, and there is now a higher level of agreement and trust than ever. But additional review is still needed to ensure global input and buy-in, and to make sure that standards enable both international collaboration and local adaptability. Technology performance, use, and impacts are complex and depend on many factors. Alliance Advisory Council Member Wanjira Mathai addresses today’s panel on gender capacity-building. There are many benefits for businesses conducting gender assessments and developing gender action plans – to both enhance bottom line outcomes and increase impact for women. The Alliance offers a range of services for gender capacity-building beginning with conducting gender analysis using the Alliance’s gender due diligence tool. Enterprises that have gone through this process have benefited greatly and shared their firsthand experiences implementing gender interventions. The session also highlighted investor perspectives on gender-informed approaches as they evaluate clean cooking sector enterprises for potential investment.  The Alliance launched Market Research in the Clean Cooking Sector: Tools and Tips, a new resource designed to support organizations in the sector in designing and managing effective market research that uncovers consumer insights critical to success in the design and marketing of clean cooking solutions. 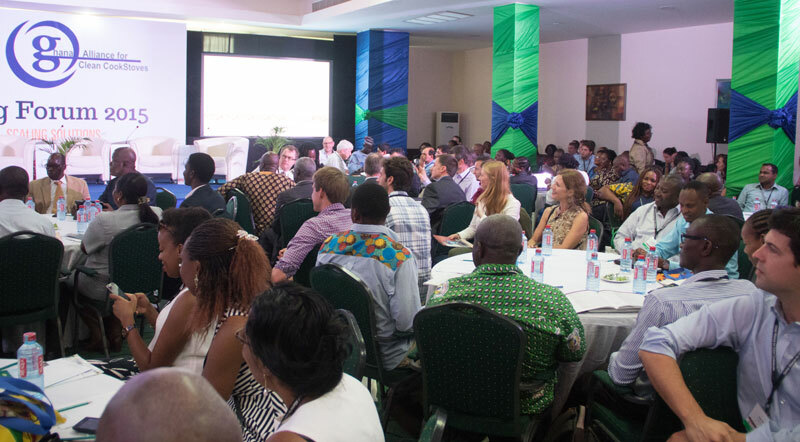 The panelists drew out key lessons and recommendations from various pilot programs from the cookstoves, fuels and other sectors as a way to explore methods to increase consumer understanding of different technology and fuel options and demonstrate how and when labeling can be applied to increase benefits to consumers. SITE VISITS ON THURSDAY: Make sure you register for site visits. Space is limited, so we encourage you to do it before Wednesday afternoon as there are no walk-ons for the field trips. THERE’S AN APP FOR THAT: Download the Forum App or check the web site to have the schedule in your hand. Get the app here. The daily schedule on the Forum website is here.